As with any other furnishing, there is a range of cost in patio furniture sets. Regardless of the pricing, there are some key considerations you should ponder before making your purchases. 1. Affordability – affordable patio furniture doesn’t necessarily equate to cheap furniture. You can find long-lasting items at good prices. Look for sales during the off-season or businesses that offer discount pricing on quality furnishings. 2. Maintenance – choose furniture sets that are low-maintenance and easy to clean. Sunbrella fabric for your cushions is a must for long term durability. 3. 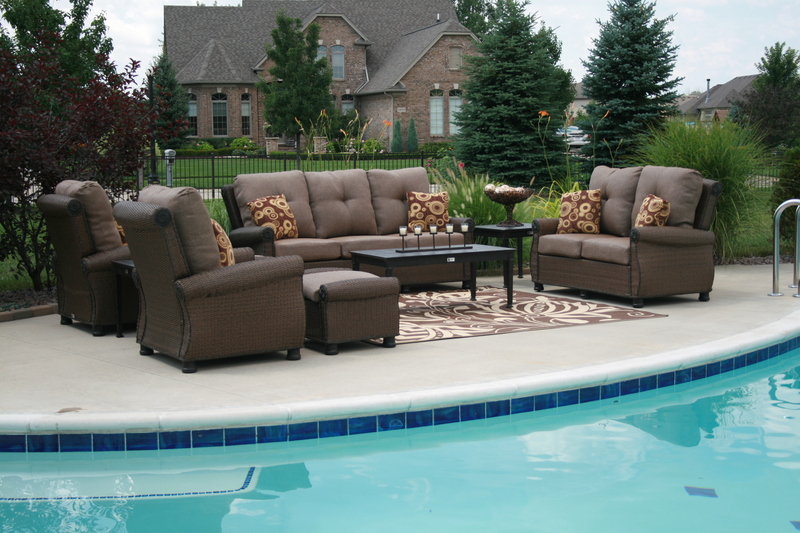 Durability – you can sometimes spend a lot of money on patio furniture sets. Invest in durable furniture that will last you for several years. In an all weather wicker product, Viro brand wicker is the tops in the industry. For cast aluminum, be sure it is multi-staged powder coated and the aluminum used to cast the furniture is high grade. 4. Comfort – if the furniture isn’t comfortable, you won’t use it. Choose comfortable furniture and accessorize it with comfortable cushions or padding. 5. Portability – if you foresee moving your patio furniture around, select types that are easily portable or have wheels or casters. Consider these points and any other items particular to your patio environment before purchasing outdoor furniture sets or individual pieces. Doing so will ensure you get the most value for your money and furnishings that you will enjoy for years to come. For most everything you need for your patio or deck, whether patio furniture or other outdoor accessories , you will find a great selection at Open Air Lifestyles, LLC – all at great savings of up to 50% off retail.